In May 1956, Nkrumah’s Gold Coast government issued a white paper containing proposals for Gold Coast independence. The British Government stated it would agree to a firm date for independence if a reasonable majority for such a step were obtained in the Gold Coast Legislative Assembly after a general election. The 1956 election returned the CPP to power with 71 of the 104 seats in the Legislative Assembly. Ghana became an independent state on March 6, 1957, when the United Kingdom relinquished its control over the Colony of the Gold Coast and Ashanti, the Northern Territories Protectorate, and British Togoland. In 1821, the British Government took control of the British trading forts on the Gold Coast. 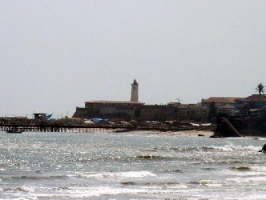 In 1844, Fanti chiefs in the area signed an agreement with the British that became the legal stepping stone to colonial status for the coastal area. 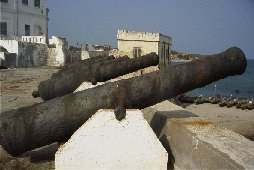 From 1826 to 1900, the British fought a series of campaigns against the Ashantis (specifically the 1st Ashanti War 1863-64 and the 2nd Ashanti War 1873-74), whose kingdom was located inland. In 1902, they succeeded in establishing firm control over the Ashanti region and making the northern territories a protectorate. The first contact between Europe and the Gold Coast dates from 1470, when a party of Portuguese landed. 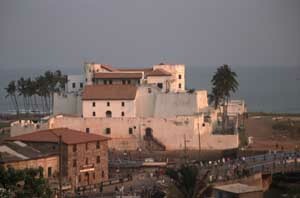 In 1482, the Portuguese built Elmina Castle (São Jorge da Mina) as a permanent trading base. Thomas Windham made the first recorded English trading voyage to the coast in 1553. During the next three centuries, the English, Danes, Dutch, Germans, and Portuguese controlled various parts of the coastal areas.